Lanier Ford Shaver & Payne P.C. is pleased to announce that Lauren A. Smith has been named the firm’s newest president. Ms. Smith will be the first woman to serve as president of the largest Huntsville-based law firm. She succeeds Ed Starnes, who faithfully served as firm president for the last 11 years. 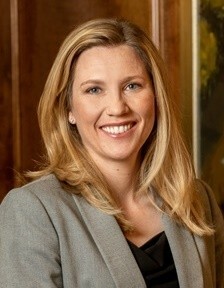 Ms. Smith’s practice focuses on advising businesses and employers on risk mitigation, best practices, and dispute avoidance techniques. In many ways Ms. Smith’s practice mirrors that of the Lanier Ford law firm, which has roots in Huntsville dating back to 1899. From start-up government contracting businesses to the city’s largest employer, Lanier Ford’s lawyers provide guidance and counsel to a broad segment of the participants in the north Alabama economy, plus a number of national insurance carriers and global companies. 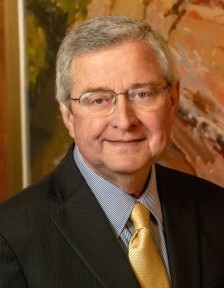 Ms. Smith noted that the Lanier Ford firm was recently listed as a best regional law firm in 12 practice areas and was also recognized for having 11 lawyers listed in the 2019 edition of The Best Lawyers. For 2018, Ms. Smith said, the firm had nine lawyers listed as either Super Lawyers or Rising Stars by Superlawyers.com. Ms. Smith is a member of the Women’s Economic Development Council (WEDC), Defense Research Institute (DRI), North Alabama Society for Human Resource Management (NASHRM), Women In Defense (WID), and the WEDC Foundation. Ms. Smith and her husband make their home in Huntsville where their two sons attend Huntsville City Schools.